I came across this book when Born Free Foundation was selling signed copies. The book starts with the story of Obi & Oliver, taken away at birth to be hand reared by naive volunteers who believed they were doing a good thing, hand rearing these ‘orphan’ cubs, having been told that they had been rejected by mum. It tells how cubs are used in the tourist industry for cuddling, as they get older for lion walking & then it’s back to the breeding farm from which they came ~ to face the reason they were born ~ one of two destiny’s ~ both as horrific as the other. 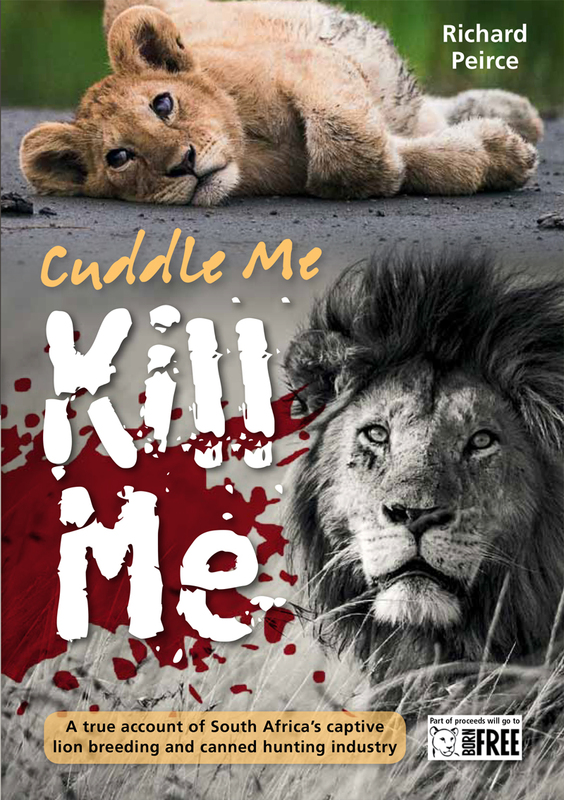 The book goes into detail of how the lion farming industry works in South Africa, a real eye opener & one that has sparked an interest in me to do what I can to help end this atrocity. At the end of the book I find I can volunteer at Obi & Olivers new home, which I did for two weeks in November 2018. I have also read ‘Giant Steps’ about elephants & ‘The Poachers Moon’ about rhino’s, I love Richards writing style, it’s much like my own, to the point & factual, each book follows the same format. Richard will be at #TEAMEARTH on 4th May 2018, he will be introducing the trailer to his film which will be out in the summer. Lions. Bones & Bullets, as well as talking about ‘Cuddle Me ~ Kill Me & doing a book signing, I highly recommend, making a purchase ! !